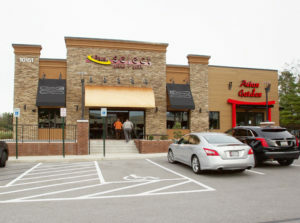 Local entrepreneur Stavros Kalaitzoglou has signed leases with St. John Properties, Inc., for two new casual dining restaurants within Crestridge Center, a mixed-use center consisting of nearly 53,000 square feet of commercial office and retail space in the Cockeysville section of Baltimore County. 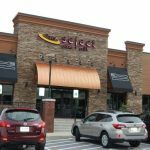 The center represents the 15thlocation for Pat’s Select Pizza | Grill, which recently opened, and the second for Asian Garden, which is expected to begin operationsthis week.Each restaurant, located at 10151 York Road, will support nearly 50 full and part-time employees. Bill Holzman, Vice President, Retail Leasing for St. John Properties represented the landlord in both transactions. Pat’s Select Pizza | Grill is a casual dining restaurant specializing in brick oven pizza, signature flatbreads including Roasted Vegetable, Chipotle chicken and Margherita; house-made soups; a large burger selection and a variety of classic and specialty pasta dishes including New Orleans Shrimp & Sausage and Penne Ragu. 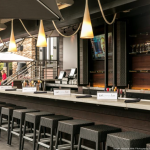 The family-friendly concept also serves a full complement of salads including the Harvest Goat Cheese, theWally, and the Southwest Chicken as well as a low carb menu featuring seared ahi tuna, and glazed Mediterranean chicken. Seafood specialties include creamy seafood spaghetti and crab cakes. Asian Gardenis also a casual dining restaurant featuring Chinese, Japanese and Thai food. Menu selections include sushi and sushi combination platters; noodle dishes such as Lo Mein, Mai Fun, Pad Thai and Singapore Mai Fun; signature chicken entrées such as Sesame Chicken, Sweet and Sour chicken, and Chicken and Broccoli; and seafood selections including Salmon Steak and General Tso’s Shrimp. Asian Garden also offers a variety of cooked and uncookedrolls including drunken salmon roll and the cherry blossom (crab, avocado and cucumber topped with tuna with a side portion of spicy crab covered in tempura flakes and spicy mayo). Both restaurants are configured as “bring your own bottle” which allows guests to enjoy the wine or beer of their own choice with the addition of a small cork fee. 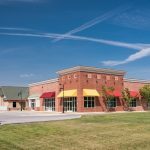 Crestridge Center, consisting of two one-story commercial office buildings and one retail building, is positioned with direct access to the Warren Road exit of Interstate 83 and is approximately 10 minutes from Towson and five minutes from Hunt Valley. More than 50,000 people reside within a three mile radius of the site with an average household income exceeding $112,000. More than 34,000 vehicles pass Crestridge Center via York Road on a daily basis. St. John Properties, Inc., founded in 1971, owns and has developed more than 18.5 million square feet of Flex/R&D, Office, Retail and Warehouse space in Maryland, Colorado, Louisiana, Nevada, Pennsylvania, Virginia, Utah and Wisconsin. The company was named the national “2018 Developer of the Year” by NAIOP, the Commercial Real Estate Development Association. For more information about the company visit www.sjpi.com.